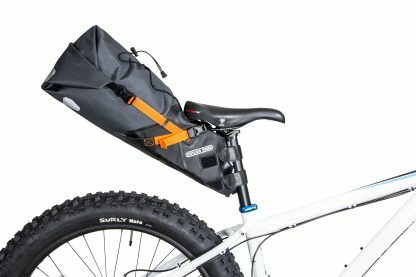 All systems go for your next bikepacking adventure! 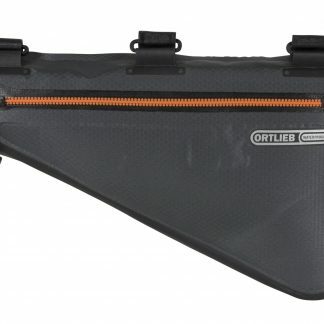 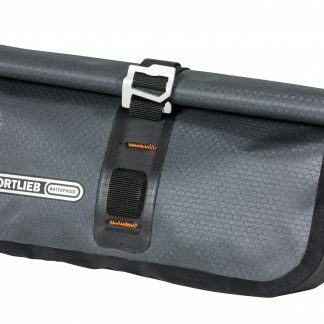 Conveniently mount the ORTLIEB Seat-Pack to your seatpost with the help of two extra strong Velcro straps. In addition to its other duties, the seatpost bag serves as a fender in off-road terrain. 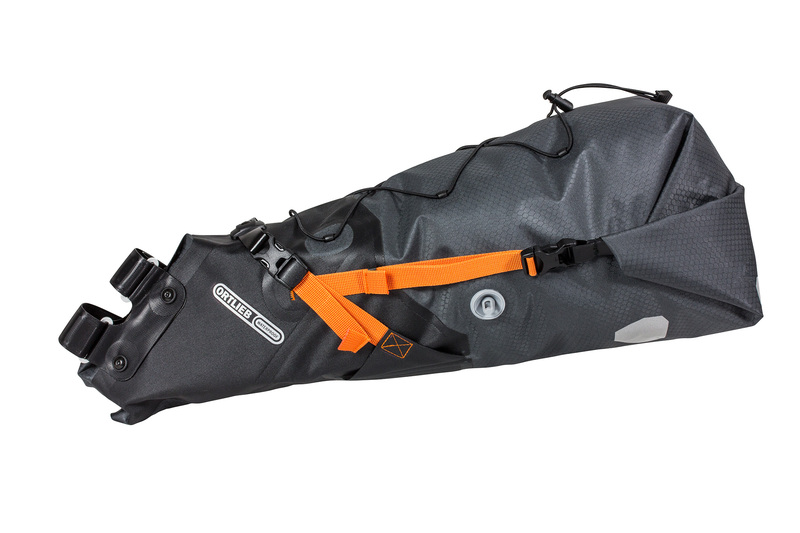 The spacious, waterproof Seat-Pack keeps your extra clothes or gear dry. 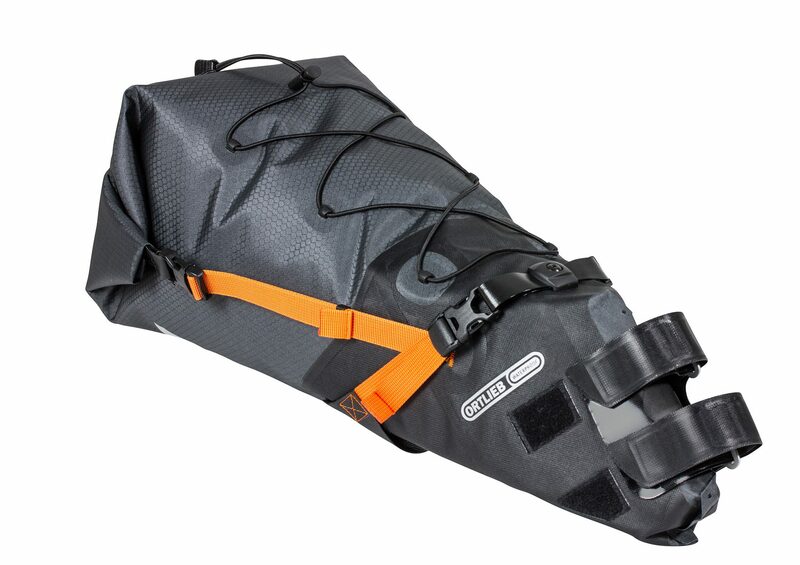 Go ahead and dial in the pack’s volume from 8 to 16.5 liters via the roll closure to meet your stowage needs. 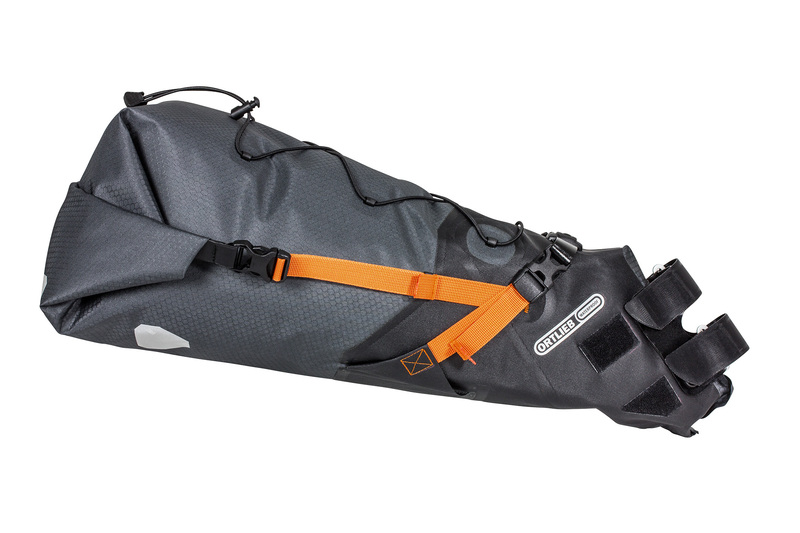 Use the convenient compression valve to make your pack even more compact. What about your peeled-off jacket on those uphill stretches? 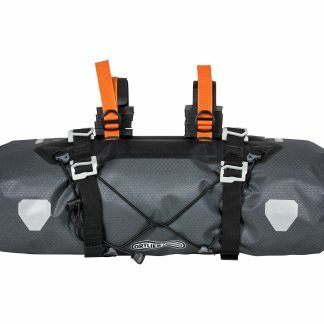 Simply stow it under the quick-access, X-link restraining cord on the top of the pack. 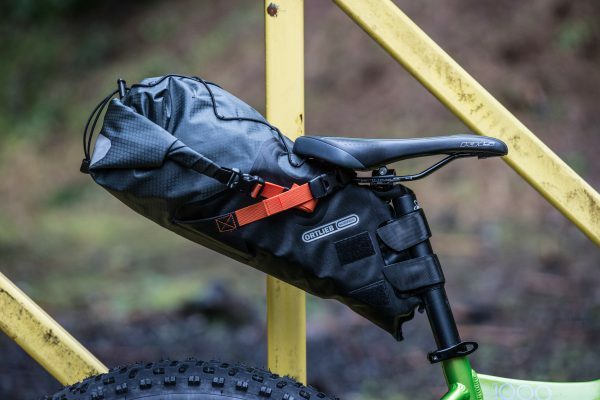 The Seat-Pack is an ideal replacement for a backpack, no matter whether you’re out with a cross bike, mountain bike, road bike or electric mountain bike. You’ll need 15 cm of free space on your seatpost to mount the Seat-Pack.